Sing the verse (below). Repeat continuously while drawing a circle around yourself with graphite pencil. Do not stop singing or drawing the circle until the pencil is finished. The past is not a mirror. The future is your art. The present tense is all pretence. Go back to where you start. 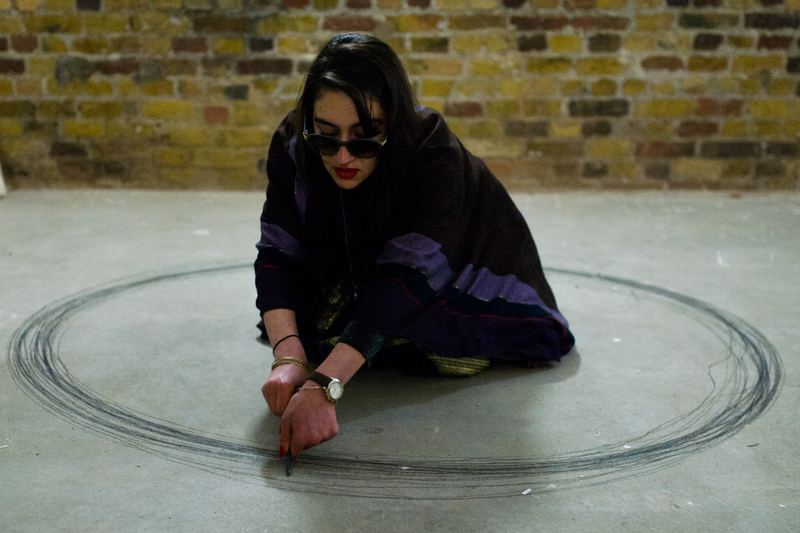 From London City Nights review of first performance, 16th February 2014, ]performance s p a c e[, London. 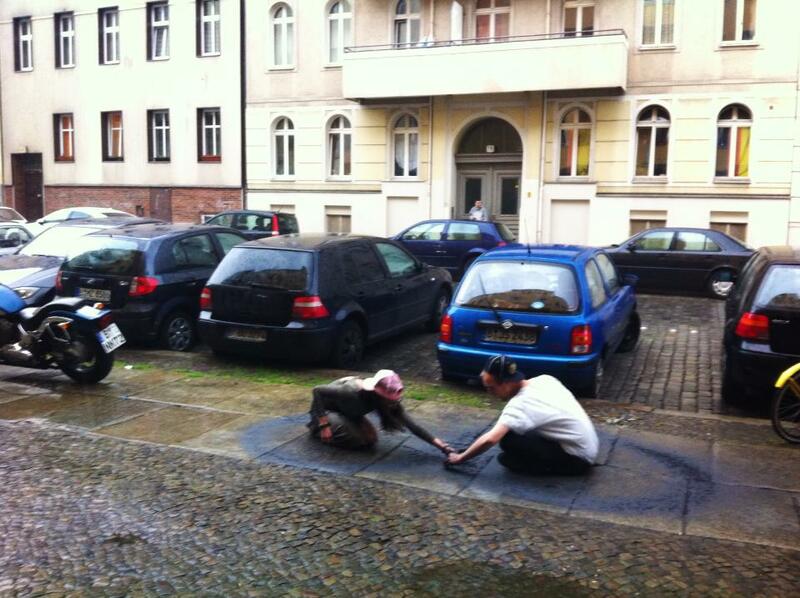 Setting the tone for the night was Sara Zaltash, with a durational performance that lasted most of the night. 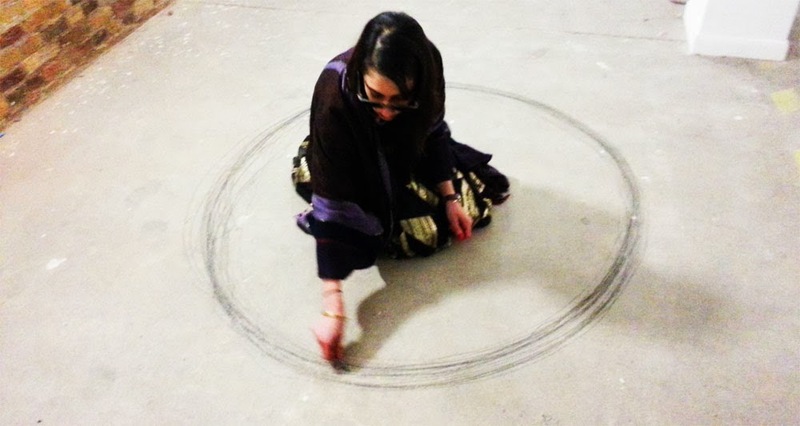 Sat on the floor she recited a mantra while drawing a neverending charcoal circle around herself. Round and round she went, the circle getting thicker and more defined as she used more and more charcoal. In retrospect these marks outlined the themes we’d be seeing tonight; transforming the space into a canvas. There’s something faintly magical about the idea of sitting within a self-made circle, the lines acting as a protective barrier against the outside world. For me this protection extends outwards; the walls of the gallery allowing the artists to safely explore concepts; the water surrounding Fish Island creating a bubble of artistic expression – we can even go so far as to say that Goldsmith’s circles recall the M25 – a protective loop around London itself. 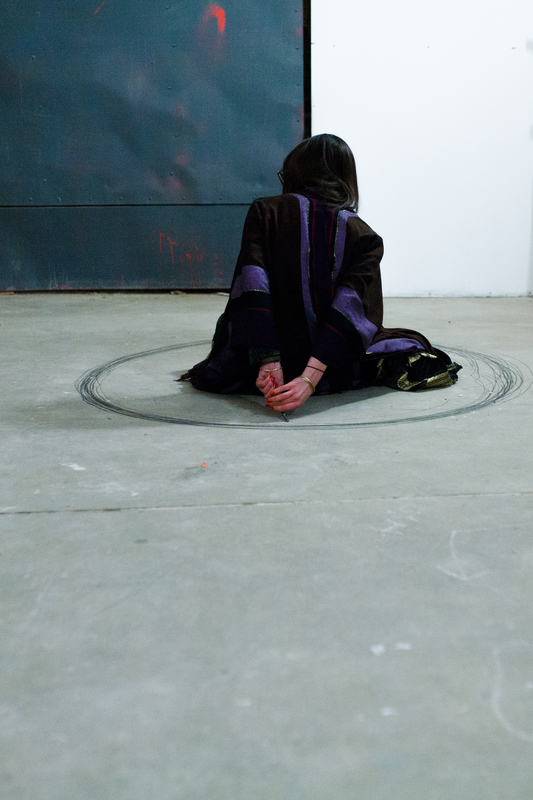 Images: Marco Berardi, February 2014, ]performance s p a c e [, London, UK.